You are here: Home / Nyheter / Latest News / Follow the ships on their voyage! 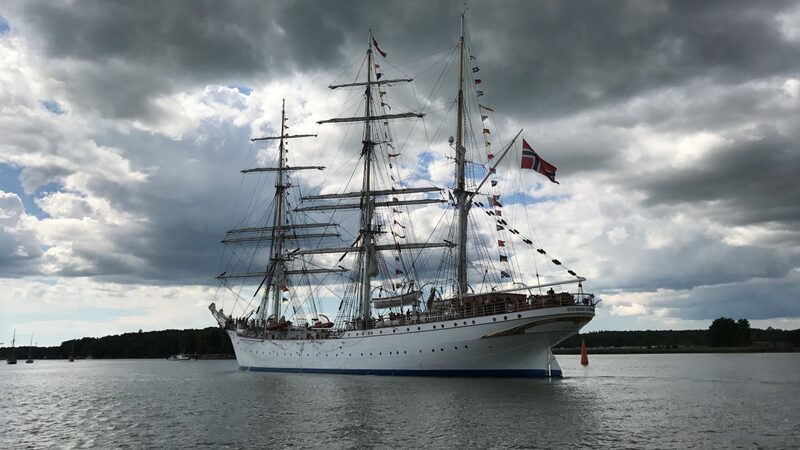 The Parade of Sails out to Byfjorden starts from the harbour (Vågen) Sunday at 12:00 and will be past Tungenes Lighthouse by 16:00. Randaberg and Rennesøy Municipalities have made good arrangements for the public on both sides of the fjord. Check the Municipality websites for details. 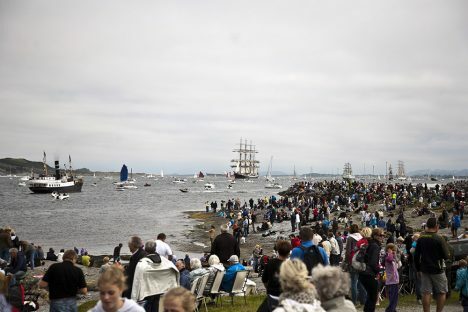 The regatta starts west of Kvitsøy between 19:00-20:00 on Monday evening. The ships will then race south to Harlingen in The Netherlands. You can also download the Yellow Brick app from App Store or Google Play.